Still from Hillbilly official trailer. Nearly 50 years ago, former US President Lyndon B. Johnson's "War on Poverty" legislation began to metastasize into a naked form of exploitative propaganda against the Appalachian poor, which continues to this day. 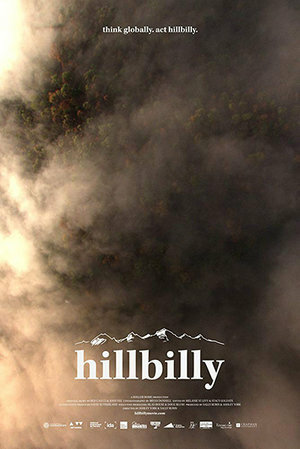 In directors Ashley York and Sally Rubin's instructive documentary Hillbilly, an important effort is made to reclaim Appalachia's identity against these destructive stereotypes. As Hillbilly's historic footage conveys, the Johnson Administration's sensationalized 1964 visit to Central Appalachia to promote the "War" captured the entire region as festooned with poor white families full of neglected children, cramped rundown shacks, and detritus symbolic of an atavistic economy. What followed, according to Appalachian Media Institute director Kate Fowler, is a rash of media coverage imbuing an "aesthetic to poverty" in the region which "the nation started to expect" to see regularly. This insidiously narrow "white trash" imagery stuck for decades. Hillbilly offers a treasure of Appalachian authors and activists, like Fowls, as well as generous footage detailing corporate and political exploitation of Appalachia. By handing the mic to Appalachia's regional voices, the film examines what Appalachian media coverage might be like if the region was covered absent overarching national stereotypes. The results are not only emotionally stirring, but also serve as a primer for those interested in reviewing works on Appalachia beyond, for instance, J.D. Vance's cursory if not somewhat distant critique of Appalachia, the bestseller Hillbilly Elegy (HarperCollins, 2016). In one haunting scene, Hillbilly covers author Silas House's radio broadcast Hillbilly Solid, where another Appalachian author, Sam Cole, discusses how she "code switched" from her regional Kentuckian dialect to a more nationally accepted Midwestern, middle class form, when talking to academics. Cole did so out of fear of being negatively judged for her Appalachian background. Hillbilly's sensitive, disciplined camera stays on Cole's distressed face after she demonstrates how to code switch. Hillbilly provides a cogent analysis of the connection between the United States' paradoxical cultural supremacy over its own Appalachian region, and the nation's resultant economic and political exploitation of it. Barbara Ellen Smith, author of Transforming Places: Lessons of Appalachia, (University of Illinois Press, 2012), discusses how the continual labeling of Appalachian people as "trash" has ingrained into the region a sense of inferiority, thus making it vulnerable to coal mining industries' nefarious economic and environmental practices. Jarring footage on the affects of coal mining in the region confirms Smith's argument that low income Appalachian residents have at times acquiesced to heinously exploitative corporate practices. Home videos by York's grandmother, "Granny Shelby", provides intimate imagery of her home submerged in dirty water as a result of mountain erosion. News footage of the rest of the area shows worse. "They don't care about people like us who live in these areas," Shelby opines about governmental neglect of the area. York does not provide any statistical analysis to confirm Shelby's point, but her beleaguerment is more compelling than numbers. 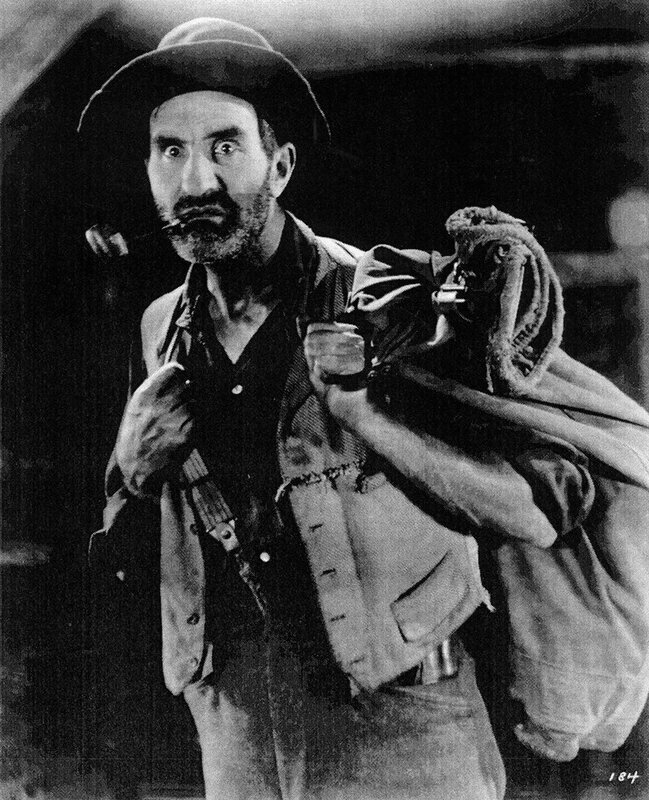 York and Rubin deftly contrast sincerely stated discussions about Appalachian hardships with portrayals of Hollywood's outlandishly crude and ignorant treatment of the region. Clips from purportedly liberal shows like The Simpsons, Funny or Die, and Saturday Night Live, are all probed for scenes stereotyping hillbillies as buffoonish alcoholics, and "trailer trash". A video essay on the 1972 Oscar Best Picture nominee Deliverance reevaluates the Hollywood Southern thriller as a demeaning sensationalist horror film which stereotyped hillbillies as violently tribal and dimwitted. Hillbilly's response is measured and educational. York discusses how seeing Barbara Kopple's shoestring budget documentary, Harlan County, U.S.A. — a gripping documentary on a Kentuckian local union's strike in the mid-'70s against a coal mining corporation — inspired her to become a film documentarian. Hillbilly's focus on Appalachians of color, and of the LBGQT community, establish that Appalachia is more diverse than its "poor White America" label conveys. But while Hillbilly is an urgent call for a more nuanced coverage of Appalachia, the film doesn't take the extra step of conveying working class residents' current daily lives. There's scant current footage of Appalachia's current employment sector, and resident's updated struggles with it (a topic Kopple covers fully in Harlan County U.S.A.). Problematically, Hillbilly's interviews are so calmly explanatory, that the film at times sacrifices necessary cinéma vérité for conceptualism. Hillbilly also dedicates more time than necessary to York's interactions with her Kentucky based family on the eve of the 2016 US Presidential Election, when several members would eventually vote for Donald Trump. Their exceedingly familiar reasons for supporting Trump include his business prowess -- and notwithstanding his disagreeable "locker room talk" -- his surprising focus on the Appalachian economy. Customary rebuke for Hilary Clinton's seemingly elitist campaign statements against coal mining, and "deplorable" Trump voters, is also covered in the film. Curiously, York declines to argue against Trump voters' reasoning, which is problematic because she forgoes the necessary opportunity to present how her subjects would react if their viewpoints are assertively challenged. For while it's problematic that so many voters believe in Trump's propaganda, what's perhaps even more concerning is the lack of civic engagement in arguing the issues. Still, Hillbilly is remarkable for lending an attentive ear to the Appalachia people absent any judgment. In this regard, York and Rubin have provided a springboard toward a greater understanding of not only their subject region, but of the United States.